Professional sports organizations are hoping to use drones and virtual reality to improve team performance and gain competitive advantage, but the technologies will have to provide real value for fans in addition to business ROI. Drones and virtual reality (VR) both have barriers to overcome before they see widespread adoption in the enterprise and consumer worlds. Professional sports organizations are taking the lead and working hard to overcome those initial challenges. Teams are always looking for any competitive edge, in the stadium and in business, and part of that is to constantly test new technologies. But can drones and VR translate into real value? Drones and VR are being used more frequently in the sports world, and the Dallas Cowboys are one of the latest pro teams to test the technologies. "America's Team" is using drones to record practices, and is one of the first NFL franchises to give VR headsets to players so they can view different angles of plays and simulate possible responses, according to ESPN. The UCLA football team is also using drones to record aerial footage of plays, evaluate player form and create promotional videos. And the New England Patriots are experimenting with the flying devices, according to Boston.com, as are Southern Methodist University football, the PGA Tour and Formula One racing. Other organizations using VR include NASCAR, which tested a virtual live stream of a race with company executives in March, and NCAA teams, including Syracuse University, are giving players headsets to experience simulations of in-game situations. 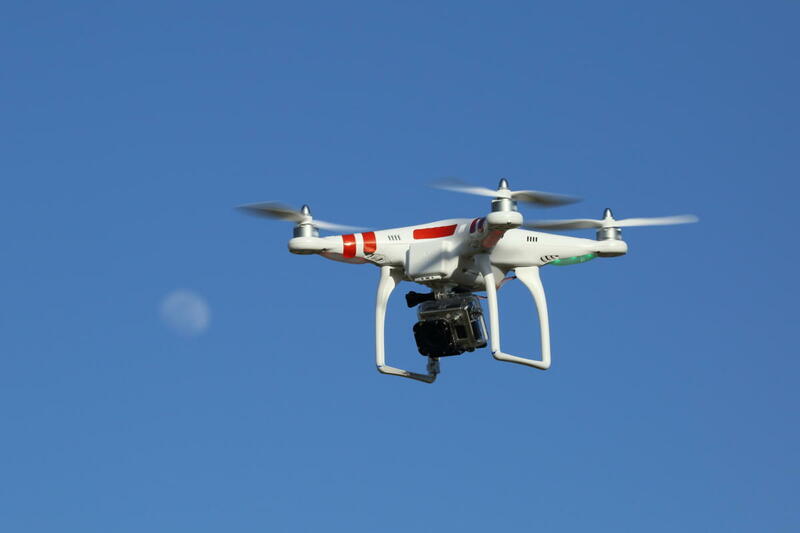 So far, drones are mainly being used to catch flaws in player performance, to see different perspectives on critical plays and to help analyze new data points collected from the footage, such as the number of seconds it takes a quarterback to react to certain situations. VR headsets are on a similar track, and they're primarily used for internal experimentation. However, that experimentation is designed to benefit teams and players, and it neglects a huge opportunity: the fan base. "The modern sports organization is becoming a multimedia content company," says Ben Shields, a lecturer in managerial communication at the MIT Sloan School of Management and author of The Sports Strategist: Developing Leaders for a High-Performance Industry and The Elusive Fan: Reinventing Sports in a Crowded Marketplace. Experimenting with drones and virtual reality "gives these organizations and teams another way to provide access to fans on a consistent basis." Like all businesses, pro sports organizations want to increase revenue and improve the customer experience. The real value of drones and VR in sports, in terms of dollars and engagement, probably won't come from using them during practices; teams will need to extend the technologies to fans in stadiums and at home. Shields says sports organizations need to gauge fan interest and then craft business models accordingly if VR is going to take off. Teams will need to develop content models, such as subscription or pay-per-view options, and decide between direct-to-consumer or media rights partners. "The possibilities are very exciting," Shields says. "The use case of giving thousands of fans courtside access to their favorite teams and players could very well be a game changer for the industry." VR has a promising future in the consumer market; Gartner predicts that 25 million head-mounted displays will be sold by 2018. But sports teams should move slowly when it comes to VR, according to Brian Blau, research director at Gartner. Blau says teams should roll out simple VR experiences through mobile or desktop apps, or set up VR test booths at events to introduce fans to the technology. They could also record unique, 360-degree angles during games and feature them on video broadcasts. With drones, fan engagement is more challenging, according to Blau. Privacy and safety are genuine concerns which have yet to be fleshed out, so it will take time for the devices to become commonplace at sporting events. Adopting any technology, whether internally or externally, is often a gamble, especially when the tech is new and unproven. Shields says the success of drones and VR in sports, or lack it, will mostly depend on whether sports organizations can enhance the fan experience and simultaneously drive revenue. "If these technologies can hit both of those goals, we will see more in the future." Lauren Brousell is a senior writer for CIO magazine.